Whether you’re a seller or investor, it is essential to conduct thorough research on the Hamilton property market to make informed, smart decisions when it comes to your property. The question is, where does one start? Want more detailed tips on how to evaluate Hamilton's property market? Download our free guide! The value of their property. The type of buyer their property will attract. The level of demand for their property type. How the market is behaving. With this information at hand, home sellers can use it as a guide to set their auction reserves or asking list price and time their home sale. However, the appraisal information is not always created equally—sometimes the data can mislead. It’s not unheard of for a home seller to get two very different CMAs from two different real estate agencies. And when this happens, it’s crucial that they understand why. What information does a CMA in home appraisal contain? Sold listing provides you with your market value. They are selected based on their geographical proximity and the similarity of their attributes to your home. These are properties that are comparable to yours that are currently on the market. They offer a guide to what sellers think their properties are worth and serve as a useful indicator of the type and amount of competition there is on the market. This can include a trend analysis on the number of sales over the last few months, as well as a comparison from the previous year. Here, you’ll find a summary of days on the market, list prices, sales prices, valuation as well as a breakdown by sale type (auction, tender or private treaty). 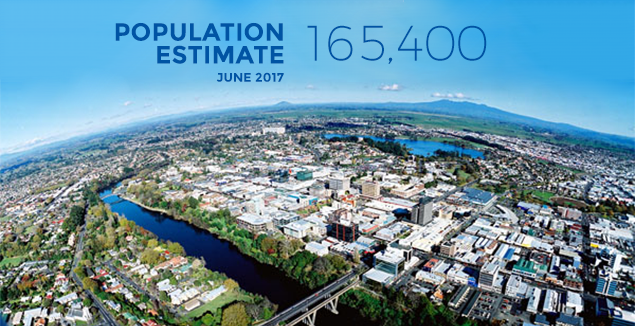 Hamilton is the fourth largest city in New Zealand—and we’re growing. Currently, our population is estimated at 200,736. However, from 2013 to 2015, it increased 2.14 per cent per year. If this trend continues, Hamilton’s population will double in 25 years. All up, more people means more homes and the growing population is changing the face of the Hamilton property market. Higher density living is growing in popularity—particularly apartment living. In-fill housing has also surged, and the number of renters compared to owner-occupiers has increased. “Hamilton is so full at the moment that there’s very little vacancy right across the city for residential rental property,” says Jeremy O’Rourke, Managing Director of Lodge Real Estate. Read more: Out or up: how will we accommodate Hamilton’s growing population? Understanding the demographics of the suburb you’re selling in will help you understand the type of buyer your property is likely to attract. This information can also help you determine the best way to market your property, what features agents draw a buyer’s attention to, and even how you stage your home. For example, families—which make up 66.7 per cent of all households in Hamilton—might appreciate a nice big backyard for the kids to play in, while a solo buyer (22.7 percent of all households) may appreciate a smaller, lock up and leave property with less maintenance. Employment: Where do the residents of your suburb work? Are they full-time, part-time or self-employed? Household income: What’s the average household income for people living in your suburb? Can it service a mortgage—or are they renting? Homeowners or renter: What is the ratio of renter to owner-occupiers in your suburb? Population breakdown by age: Is your suburb home to an older population or younger? Like tends to attract like. Migration: Who is moving into your suburb? What are their needs/priorities? Household composition: Is your area predominantly one-family households or one-person or one couple households. Understanding the key trends in your suburb can help you assess housing demand in your neighbourhood and its potential for growth, as well as help you pre-emptively address any concerns your buyers may have. For example, if you know that your neighbourhood has an above average crime rate, you may choose to install a house alarm to make your home more attractive to buyers. Building permits/consents: How many have there been and what for? Are people renovating, subdividing, or building new? Crime rate: Is it low, high, average? Percentage of public housing: What is the breakdown of public housing in your neighbourhood? Owner occupancy rates: Is your suburb mainly renters or owner occupiers? Housing density: Is your suburb predominantly low, med or high density? Has the number of high-density homes increased in your area? Will the trend continue? Local zoning: Is your home located in a popular school zone? Knowing how the market is currently behaving is essential to understanding what your home may sell for, how long you can expect it to take and what selling method to use. Indicates demand in the market. As a rule, the fewer days on the market, the better chance your home has of selling quickly. However, keep in mind that demand can vary between suburbs and certain types of housing. So while generic regional data can give you an overview on the state of the market, specific data to your home-type and suburb will give you a better idea of what to expect when you do go to market. Where you can find it: REINZ monthly reports for regional data. For suburb specific data, talk to your local real estate agent. Rather than only looking at average house prices, which can be skewed by any exceptionally high or low sales, look at median prices too. As the halfway point in the sales data, where half of the sales are lower and half higher, it can provide a more accurate assessment of what most homes are selling for. Even if you don’t plan to sell at auction, investigating the auction clearance rates for your area is still worthwhile. A low auction clearance rate for your area can indicate that the market is slow, while a high clearance rate indicates that demand is high. This may inform your marketing strategy and how you choose to sell your home. Where you can find it: Lodge Real Estate provides monthly market reports that include their auction clearance rates for all of Hamilton. For suburb specific clearance rates, talk to your local real estate agent. In summary, don’t rely on generic market statistics, drill down to the specifics of your suburb to get the full picture. In Hamilton, housing demand is up in the suburbs located near major commercial, industrial and study precincts. The University of Waikato, the Hamilton Airport Upgrade and the Redevelopment of the Waikato Hospital are current examples of this. And the demand is only set to grow. The University of Waikato strategic plan, for instance, is to grow enrolments by 3 per cent every year until 2021. There’s also the influx of students to the region thanks to Labour’s First-Year-Free scheme to consider too. In a nutshell, when you’re evaluating the market, it’s worth considering the impact any local development projects may have on your property now and in the future. If you’re an investor (or are likely to sell your home to an investor) it’s also essential to weigh up the risk-reward side of any property you intend to buy or sell. As an investor, your goal is to secure a good investment and to do that there are a few measures that can help you assess a property’s “risk factor” and what your potential return might be. As the saying goes, it’s each to their own. Every investor has a different threshold when it comes to risk. That said, some property purchases are, generally, riskier than others. Buying a property that you have to develop, for example, is considered a riskier option than purchasing a house that can go straight on the rental market. Developing a home can mean weeks of lost rent until it’s completed. However, the reward may be a higher rent yield. It’s a matter of weighing up the two. The good quick-measure way to assess risk is to consider a property’s security of tenure. That is, how many weeks is the property likely to remain untenanted per year? Next, assess what gains you’ll get from that vacancy—perhaps you’ll renovate it, or you’re prepared to wait to secure a long-term tenant. Overall, if the benefit outweighs the cost, then you may deem the risk acceptable. Read more: Running the numbers: can you service and interest rate rise? External factors such as interest rate rises and changing loan-to-value ratios can impact an investor’s portfolio and purchasing decisions. As an investor, it’s critical to investigate the trends and consider predictions and how this may affect your ability to service the mortgage and upkeep of your investment properties. Likewise, if you intend to sell your property to an investor, keep in mind that these factors can have a major impact investor interest in your home. How you time a home sale can vary depending on whether it’s a buyers’ market or sellers’ market. In a buyers’ market, homes may take longer to sell, so trying to buy and sell at the same time may be more difficult. On the flip side, in a sellers’ market, the high demand for homes can see prices rapidly increase, which may mean you risk the market moving on if you don’t buy straight back into it. Housing demand in your area. The number of comparable properties competing with yours. In a nutshell, how and when you sell your property comes down to what your goals are. If you want to upgrade or downsize, it may be a case of selling sooner rather than later. However, if you’re looking to make capital gains off an investment, you may prefer to wait until the market conditions are optimal for you. Read more: Can you use the property cycle to time your home sale? Want to make smart, informed moves on the Hamilton property market? Learn everything you need to know about researching your local real estate market with our free guide!